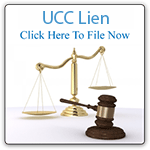 We have developed the fastest, easiest and most cost-effective approach to lien filing. Southwest Liens offers a professional staff of experienced medical and legal paralegals. Using state of the art technology, Southwest Liens has developed the fastest, easiest and most cost-effective approach to lien filing. Now any health care professional, from a solo practitioner to a multi-level-care hospital facility, can easily and effectively file liens. Properly filed liens protect your right to get full compensation for the medical services you have provided to patients. Southwest Liens can file your liens without you leaving your office. If you want to protect your rights, but don't want to pay your staff to prepare, sign, deliver and file liens with the county recorder’s office, then we can help. Stop wasting time, money and paper. Check out our lien services to find out how we can help fill out and file legal forms and documents so you can concentrate on what you do best--taking care of patients, yourself and your practice. SOUTHWEST LIENS IS FULLY CERTIFIED, LICENSED AND INSURED. All INFORMATION PROVIDED IS PROTECTED AND COMPLIES WITH HIPAA AND STATE MEDICAL INFORMATION PRIVACY LAWS.